Not a lot of eye-candy today! Still all pretty exciting! 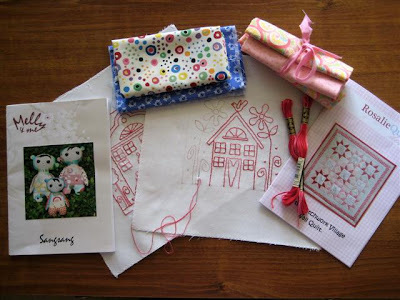 As you can see, I have been doing Redwork - Rosalie Quinlan's Little Patchwork Village! I'm just loving it - haven't embroidered in years and this is done using backstitch which seems to be very much in vogue these days! Stitch length and tension is not perfect, but oh, the whole thing is so relaxing. I'm using DMC 107, a variegated thread, and a Birch Straw 10 needle - strange?, yes it is, but this needle is sort of my utility needle, very fine tip with little bit of extra length. On the back of a nice muslin? (out of the stash) I have used Staflex Fusible Interlining - apparently Rosalie recommends that these days! Now, I am not a variegated fan, but this thread is oh, so pretty, red and pink! I'm off to make a start on SangSang - another gorgeous softy by Melly & me - 'me' is Rosalie, too - you can see I'm a big fan! DD, Danielle is coming over this arv to make a SangSang, too - never sewn a stitch in her life, so is she ever going to be on a steep learning curve! 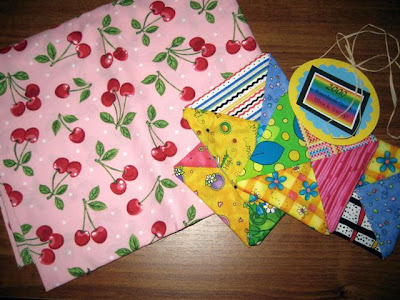 She has chosen fabrics, the pinkies Chooky sent me for my birthday and as I am making a start this morning, I have had to promise Danielle not to use her selection. Hhh,hmm - don't know how the day will turn out - could be interesting! These gorgeous blocks arrived yesterday - I am so thrilled! 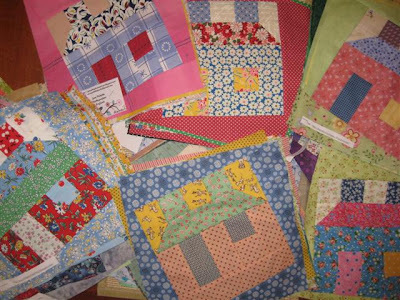 Thank you Jane for organizing the Swap and thank you to all the block makers in my group - they are all so nicely made with just wonderful fabrics - no cut off points in this lot - everyone must have read their instructions carefully! 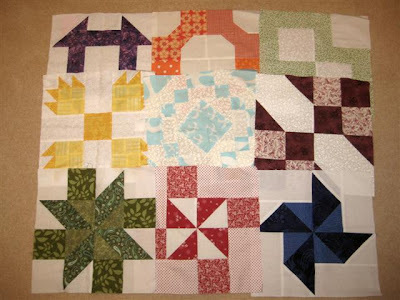 My block is the red pinwheel, bottom row! In the same parcel - on the right, lovely little gifts from Jane, 4 little happy, bright coasters - wow, Jane have you slept lately? - there has been so many in this swap! And, on the left, gorgeous cherry fabric I asked Jane to get for me - I just love pink and red and the little white spots make it such a cute fabric! 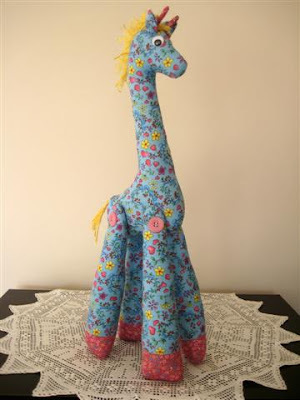 See Jane's button on my Sidebar - click on it to see her fabrics on eBay - I like whimsy cute fabrics and there's lots of those and Jane is just so charming to deal with, it is worth ordering from her in the USA for a nice little change! 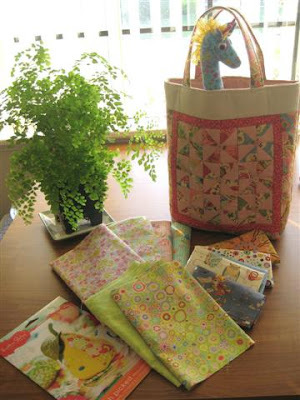 Another weekend is nearly here - a long weekend for Western Australia - maybe lots of sewing will get done - let's hope so! Just joking! The Aussie girls seem to be showing their workplaces, so here's mine! Actually it is the formal lounge room of our home, just inside the front door with views to lovely neighbourhood homes and lawns and my rose garden! It was hard to make the move into it, but now I appreciate the lovely light, bright room so much - aka My Studio! 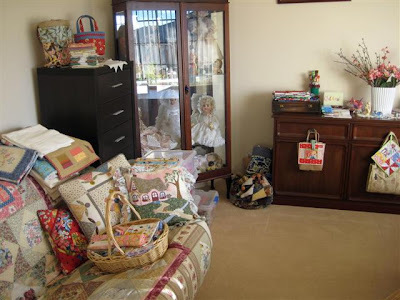 Nothing too formal here - lots and lots of fabrics hidden in every nook and cranny! I have been talking to Janet of Quiltalott and have been discussing some sort of film to go on the windows to protect all my goodies from the bright light! 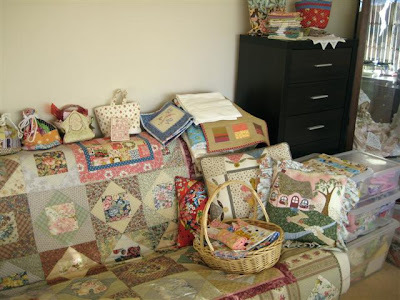 WIP Corner - see the 9-patches, little baskets, linen fabrics and the box has current 'wanna do' patterns! 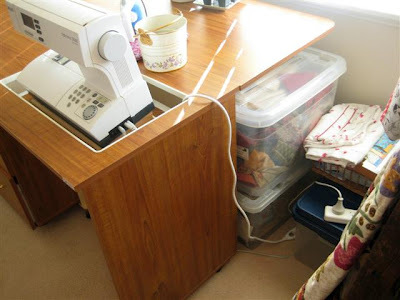 Another junky spot - two large boxes of repros, a pair of Mums pyjama pants to have new elastic inserted (I tell her I'm a quilter, not a mender!). Imagine the bright sunshine in the backgound with the drapes just ajar! Tuesday I met up with Girlfriends at Woolly Latte - the yarn shop with coffee shop attached, just a delight! We had a great day, three of the girls sat there knitting while sipping coffee, wish I'd taken my camera! I took Missy Perkins for her first outing - quite the star she is! Then I popped next door to Hot Possum and bought the couple of pieces of limey green Kaffe to make the pincushion for the swap. Had to stop by Materialise on the way home to check it out for linens and wow! the 4 on the left were on sale for $12 a metre! If anyone is still with me - yawn! - who is very experienced in shaggy quilts - tell me, do you think one layer of linen, backed with flanelette, will make a suitably cosy quilt? Or should I go another way? Christine, you should be able to help, thanks - I would appreciate opinions from anyone, thanks! Off to my local sewing group - I haven't been for ages, so hope I am not ex-communicated! Happy day! From here on in she's Missy Perkins! Certainly not old enough to be a Mrs! Oh, what fun I had making her (except for those tiny wee horns!) - what a lovely way to spend a day! Here she is doing her exercises - not quite as supple as Janet's Mrs. Perkins, but then she has been made by an ex-dollmaker and is pretty heavily stuffed! 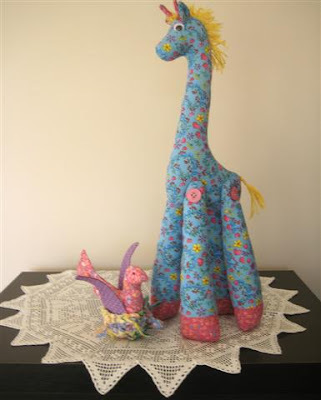 Here she is with another softie from Melly & me designs, Birdie! The family are so impressed - I will be making lots more! PS - Janet, I managed to make our self-set deadline, whew! C'mon, Joy! 'If you sleep under a quilt, you sleep under love' - so the saying goes! I made this quilt for my Danielle, now 35 - she left home alone, travelled to the UK , Europe and the Caribbean when she was just 24. You can imagine with just a backpack, this quilt formed part of that luggage, sort of 'I've been everywhere'! This quilt travelled for 5 years, well worn, well loved and may more years left in its life. Danielle married an Australian boy while in England, and she and Adrian came home to Australia to have their baby twins, Byron and Heidi, who I talk about frequently. She still cuddles up under this quilt on cold evenings - I stole it from her place yesterday, and she would have needed it last night - wet, chilly winter has set in! Here they are - all together and trimmed ready to be sorted into groups and put in the post packs! Julia helped me with the trimming - thanks Julia! I have a quick doctor's appointment this morning (just for scripts!) then I'll get home, get them sorted and into the mail! Oh, I have one orphan group of 12 - please tell me who owns it ? - maybe it will all come clear when the final grouping happens - oooh, I'm so sorry! 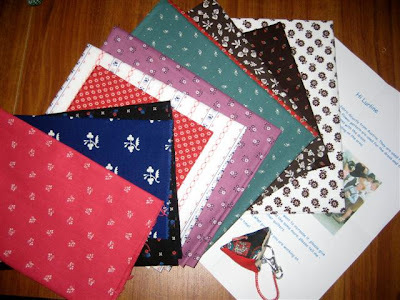 Do you remember how recently I sent some Australian fabrics to Gabi in Austria - her group was working on a project of fabrics from around the world so my Girlfriends helped out. 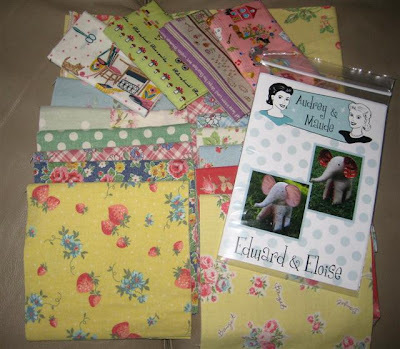 Now Gabi is a very naughty girl - I/we expected nothing in return and yesterday this gorgeous pack arrived as a thank - they are fabrics used for their native dress, florals for the dress and stripes for the apron! 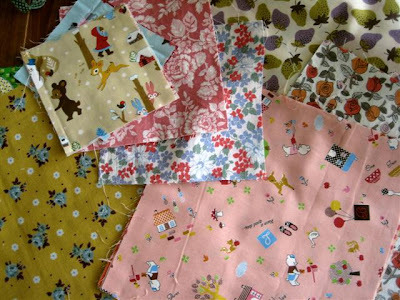 These fabrics are my 'Friday Fabrics' - ordered from Nanette of Freda's Hive - cute as apple pie! 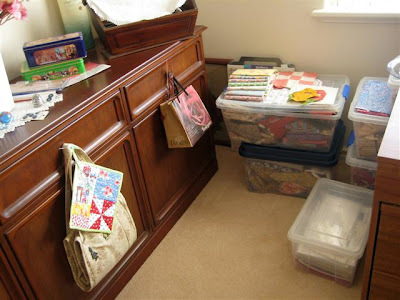 Surely this weekend will bring some organization into my life - so far I have no commitments to meet, so number one chore will be to tidy sewing room then a choice of ... starting Mrs. Perkins, starting Redwork, preparing more baskets for applique, sewing Tumbling Steps ... and so the list goes on! 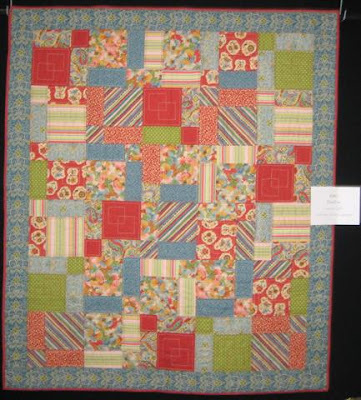 I have more interesting quilts to show you from our recent QuiltWest Exhibition! 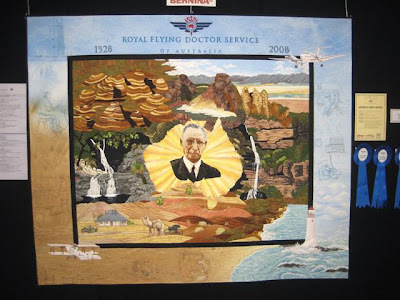 We were fortunate enough to have on display a selection of quilts from The National Quilting Exhibition, depicting and celebrating 80 years of service in Australia of our Royal Flying Doctor Service! The above is the winner of the prestigious award and was created by our very own Past President, Jocelyne Leath - congratulations, Jocelyne! Another two wonderful creations from elsewhere in Australia! John Flynn was the Founder of this great service - that happened back in 1928 with the first flight from Cloncurry, Queensland - oh, how fortunate so many Australians have been with this wonderful service! Below, as I have mentioned previously, I was asked to make a Third Prize quilt for our raffle, proceeds of which go to the RFDS. I very happily donated 'Charisma' - I'm so pleased to be able to contribute my little bit to such a wonderful cause! 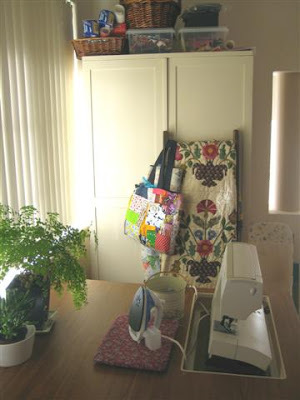 Very little has happened in the sewing room lately, today is the day! Julia has trimmed some Happy Houses for me, so I'm going to do the rest and get them out to you lovely girls ... I promise ... I think! I'd like to make a start soon on some Redwork - I haven't embroidered for years and am entering into this lacking a bit of confidence - please tell me who does and who doesn't use a hoop for backstitch? 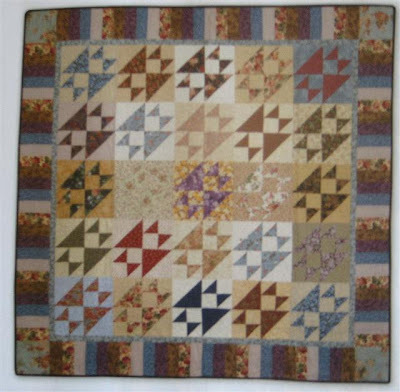 Down Under Quilts Issue 132! Oh dear, this could be boring for some - here we go! 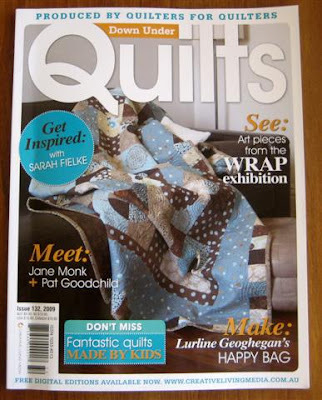 Yes, the latest Issue is on the newsagents' shelves now, featuring several Australian blogger and quilting identities! 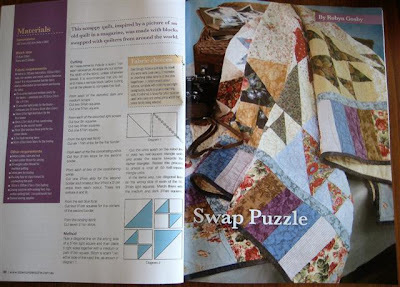 In all honesty, this is a nice magazine with some lovely quilt patterns and ideas! 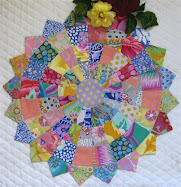 For all you Followers of Robin of Daisy Quilts here is her gorgeous quilt! 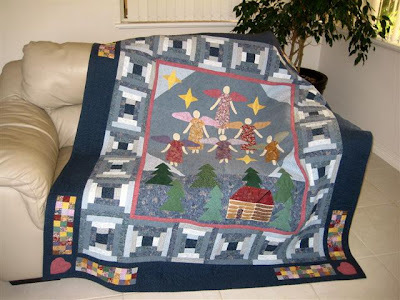 It is to Robyn that bloggers worldwide have to thank Robyn for The Great Hexagon Quilt-Along - so much time and effort she has put into such great blog! 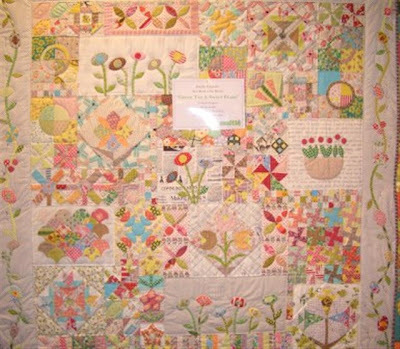 A blurry pic, sorry - this is really a gorgeous quilt - a must try one day for me! 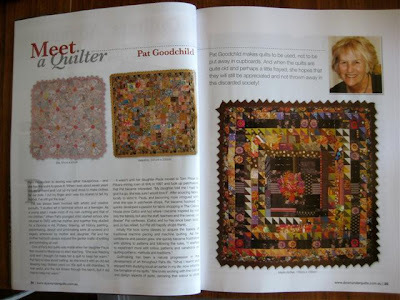 Dear friend, Pat Goodchild is our Meet a Quilter this month. 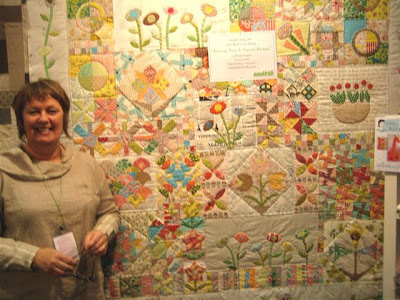 Pat makes very unique quilts and one of her quilts was purchased by Kaffe Fassett, the only quilt he has purchased in Australia. He takes it with him on his travels around the world teaching and lecturing and has used it in his presentations. Pat puts knitted edges on lots of her quilts and has been an inspiration to me to have a little play, too - thanks Pat - big hugs! By this Little Black Duck - a simple but handy tote bag - as you know, I have made quite a few of these! More trivia and then I'll close up shop for today! 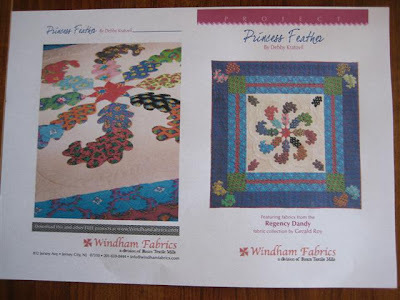 I Googled 'regency dandy fabrics' and this is what I came up with - Princess Feathers by Windham Fabrics and just gorgeous! 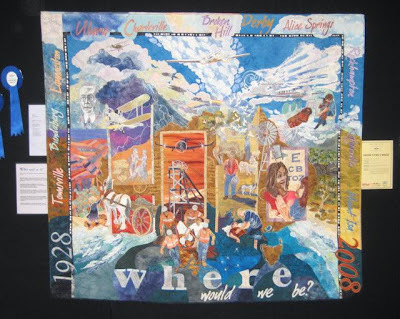 Oh, I must tell you - Creative Living Media produces free digital magazines - Down Under Quilts, Issue 131 is now available, so have a little play at Google, sign up and you can see it all! 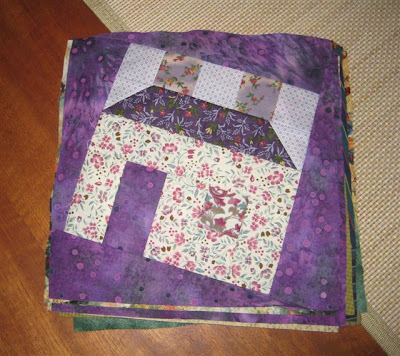 DD, Danielle is nagging me to go to the Quilt and Craft Show with maybe a little bit of Harbour Town thrown in - oh, do I have to - I just want to get on with my sewing and trimming Happy Houses - I guess motherhood becomes a priority once again! PS - pop over to Julia's Place, check out her Profile pic, and you will see what this gorgeous girl looks like - I'm wicked, arent I? Regency Dandy Circa 1810 ! 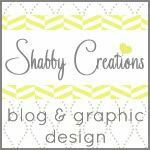 A Quick Post is a good one, so here I go! I think I have just about caught up on Replies and I promise not to get behind again! There's lots more Browsing and Commenting I want to do. 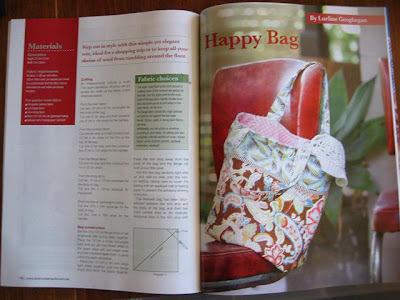 Have lots to talk about later on the articles in the latest Down Under Quilts magazine, but will leave that until next time - thanks to all who have commented already! Look at the above - with all the repro projects I want to do I ordered some metreage on sale from Sophie at Materialise - as you can see by the title 1810 - who would believe it - not everyone's cup of tea, but I certainly love the range - the package of fat-quarters on the right, must be a gift, thank you so much Sophie! It was a thrill to open the parcel late yesterday! 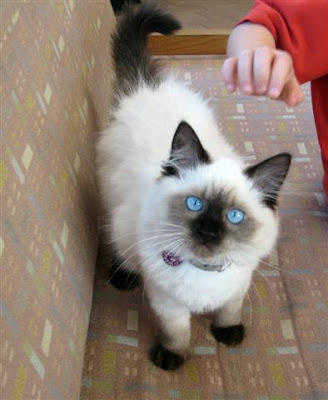 Here she is again - Saskia! She's growing more beautiful every day and just loves her family - she cries when the little ones are at school! 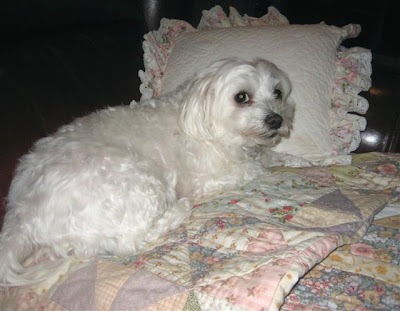 A pic of my sweet Alice - and sweet she is! She has such a lovely nature. I'm so smitten with Saskia I feel like a traitor of a Mum to my two little pups at times! Oh, yes - a little bit of shopping at the show! 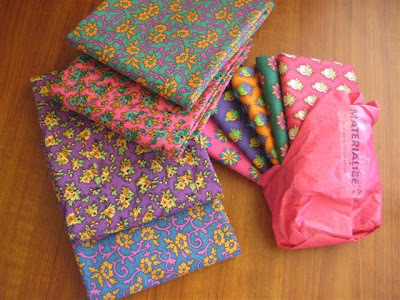 These gorgeous linens to make a shaggy quilt, a few gorgeous novelty prints at the back and a new pattern. I must think about a start on Mrs. Perkins over the weekend, Janet and Joy ! 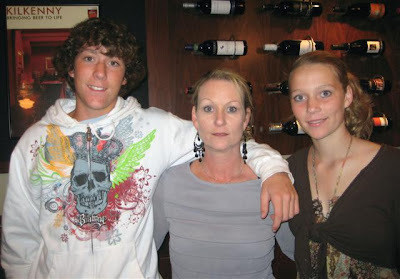 - anyone else care to join in - see my Sidebar! 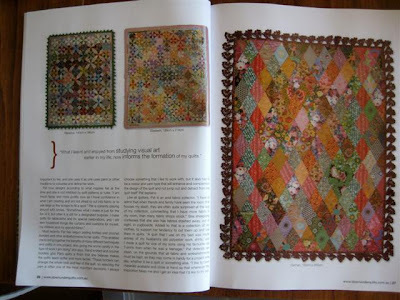 While thinking about Blogland Girlfriends - you must pop over to see Robyn of Daisy Quilts - she has a gorgeous quilt published in the latest edition of Down Under Quilts - congratulations, Robyn! I believe there is a project of mine in that issue, too - must try to pick up a copy today! This is a better pic of the Block of the Month project I have joined - Green Tea and Sweet Beans - certainly is colourful and interesting. It will be a challenge for me to keep up - we'll see how I go! 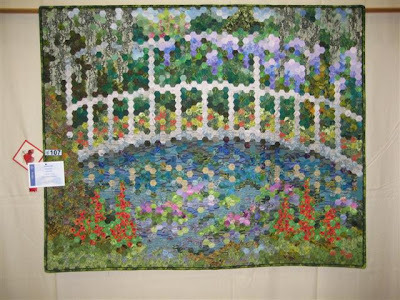 From the quilt show - Monet's Garden by well-known WA quilter, Jan Rowe! Wow, all those little hexagons - beautifully executed! 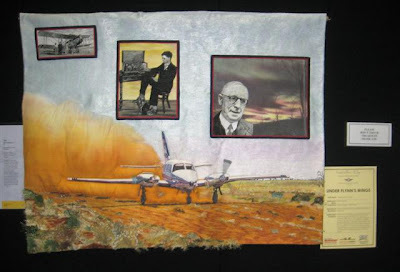 Created by our well-known Australian quilter, Jenny Bowker - will this creation be at Houston this year? Off to the doctor with Mum for scripts today, then maybe to Garden City to have a look about for some new shoes/boots - it is starting to get chilly here now! Some new clothes are in order to suit the extra kilos - not good in recession times, pity the body hasn't recessed, too! PS - for all you Happy House builders - Julia and I will start the trimming and sorting this weekend! Oh, this is a real mixed bag of pics - many more to come! 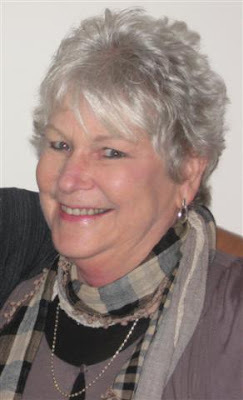 What a great day - pop over to visit Julia to hear all her good news - it was certainly a big day for her! 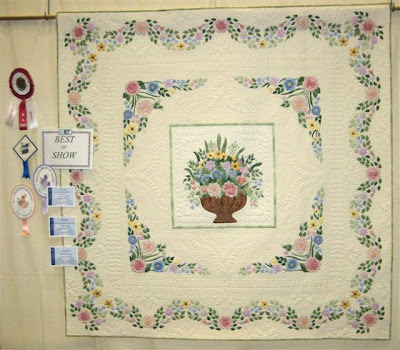 Above, Best of Show, a very beautiful quilt created by our QuiltWest Convenor, Sheila Pye! Congratulations Sheila, so well deserved! Yes, that's my style - can't go too far without telling you about the above - this is Jenny Kingwell of amitie and the Block of the Month she has created - name? Green Tea and Sweet Beans - I think! 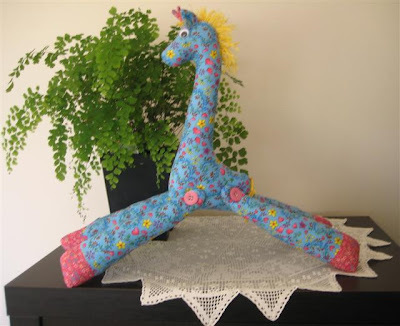 Now, BOM's are not my style, but oh, I just loved this one and can't wait for the first parcel! Our Darling Baby Girlfriend! Shari of Mumsyblossom's World with her beautiful big smile, as usual! 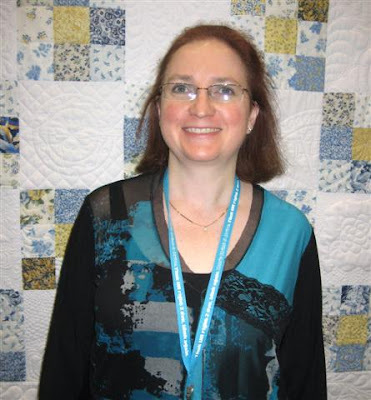 Shari has been QuiltWest Treasurer for oh, at least 4 years - such a busy little bee and she loves it all! 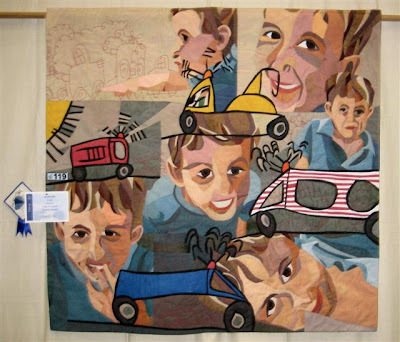 Best Art Quilt by Ruth de Vos! Ruth is a young mother of quite a family of very small children - amazing her work! 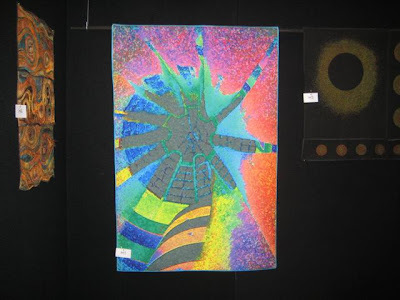 Above, works of our Guest Judge, Sharyn Hall. 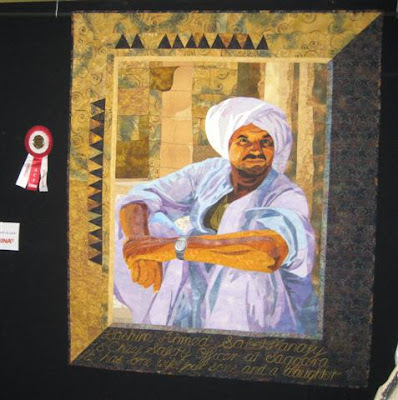 Many of you will know of Sharyn, a mixed media artist and contemporary quiltmaker who travels nationally and internationally to teach, study and exhibit! 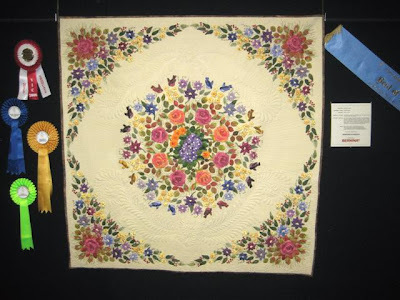 One of the Best of Australia - I am not sure which state - a really lovely quilt! What a busy day with snapping pics, lot of socializing, shopping, oh, yes! Lots to show you in future Posts, just hope you enjoy it all! A long day, train trip home, then out for a belated Mother's Day Dinner at our local tavern. Just look at DD and grandchildren - what a wonderful ending to a lovely day! Life Is a Bed of Roses!